The CMU:DIY Guide is an eight part online guide to building a business around your music, with practical tips on music revenues, music rights, building a profile and fanbase, getting out gigging, and key business partners. CMU:DIY offers a range of workshops specifically aimed at early-career artists and future music industry talent. We run these workshops for music industry organisations like Swn, Urban Development and Help Musicians. 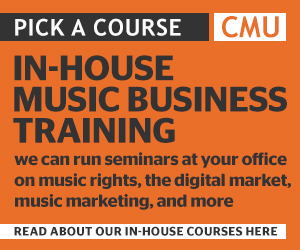 CMU:DIY offers a range of lectures for music and music business students. We provide these lectures to a variety of colleges and universities including BIMM, Notting Hill Academy Of Music, Soundskool and Middlesex University. CMU:DIY and the Featured Artists Coalition present a day of talks and interviews that together provide a practical guide for artists on how to build a career and business around your music. Hosted by a team of artist entrepreneurs, A:E Day explains the business of music artist-to-artist. CMU:DIY and Urban Development present regular sessions for aspiring artists and future industry talent that put the focus on different aspects of the music business. Get insights from CMU:DIY and a panel of leading music industry experts on how to kick-start your artist business. CMU:DIY regularly teams up with music industry organisations and events to present educational sessions for future music talent. These sessions often combine elements of CMU:DIY workshops and lectures with lively panel discussions, each one focused on a different aspect of the business of music. To discuss our workshops and services or a specific project call 020 7099 9050 or email insights@unlimitedmedia.co.uk. 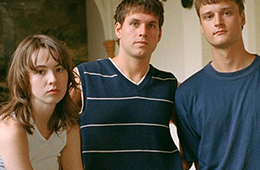 CMU:DIY is an education programme from UnLimited Learning.